Greene Eden is a well established irrigation, landscape and turf management business servicing the commercial sector. 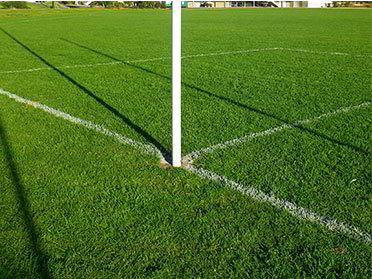 We provide innovative alternatives to traditional fertilising practices, and irrigation system methodology. After nearly 40 years of installing irrigation systems spanning traditional pop-up sprinklers, quick coupling valves through to sub-surface drip irrigation in turf, and drip/ spray systems in landscape areas, Greene Eden has an immense background of expertise to offer our clients. 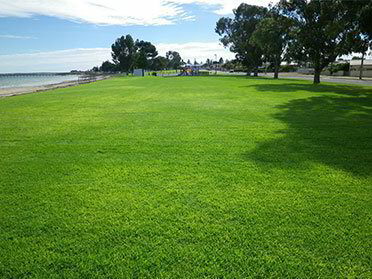 We can help you manage your turf areas. Whether that be by an ad-hoc arrangement where we provide specific services, e.g. fertilising or aerovation, or by	a formal agreement where turf services are specifically tailored to your site and scheduled over a 12 month period - Greene Eden can do it all for you. With more pressing demands on the grounds-person’s time, sometimes the grounds	maintenance may be what suffers. Greene Eden can provide a person to undertake	a pre-arranged scope of grounds work (which could be general gardening, tidying, pruning, etc., through to mowing/brush-cutting and even paint-marking). There again – you may have a vision of a new area you want landscaped or turned into an Interactive play area - we can turn that vision into a reality . Have you considered 24/7 remote irrigation management? 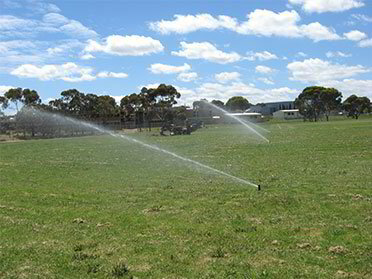 SA Water took a pro-active role in policing water use, especially on sportsfields.